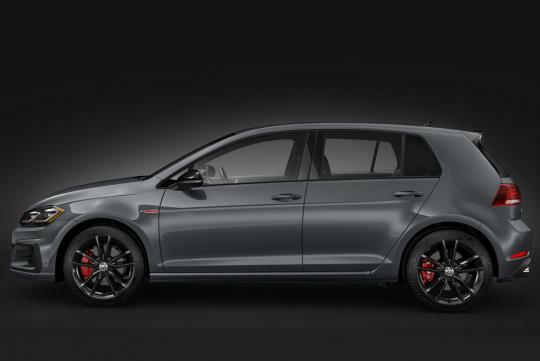 Volkswagen's Golf GTI just keeps getting better and better. For 2019, VW has turned up the wick on the turbocharged 2.0-liter four-cylinder engine and made more performance equipment standard, while also introducing a special-edition model called the Rabbit Edition. All GTI models now produce 228 horsepower, 8 hp more than before thanks to a slight retuning. The six-speed manual transmission remains the same, but the optional dual-clutch transmission is now a seven-speed unit. Larger brakes from the Golf R and a limited-slip differential, previously offered only on higher trims, are now standard across the board. The new Rabbit Edition slots between the base S and the mid-level SE. 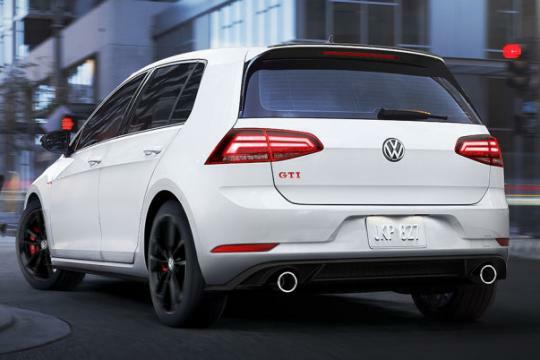 It's set apart by black trim for the wheels, spoiler, and mirrors along with Rabbit badges for the seats, intended to bring to mind the original GTI from 1984, which was called Rabbit in the U.S. market. The GTI's spirit of continuous improvement is also accompanied by continous price hikes, and the 2019 model now starts at US$28,490, US$1180 more than before. The Rabbit Edition is US$29,790, the SE is US$32,690, and the Autobahn costs US$36,890, with the dual-clutch transmission priced at US$1100 regardless of trim level.